After 10 years of service establishing F4SS as a leading association within the CPG industry, Lisa Shambro will step down as Executive Director and will take over the AuditOneTM business. 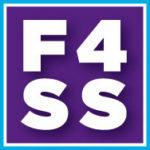 Mr. Don Sciolaro, the current F4SS Deputy Director, will assume Ms. Shambro’s responsibilities at F4SS. In that role, he will continue to pursue the organization’s core mission: connecting members, leveraging knowledge, sharing best practices and removing inefficiencies, and transforming the third-party manufacturing, contract packaging and assembly segments within the FMCG/CPG industry. The entire F4SS staff and board of directors wish Ms. Shambro much success with AuditOneTM!